In what seems like a strategic move to reinstate its leadership in the industry, Canon Central and North Africa (CCNA) has launched the EOS M-100 interchangeable lens camera into the Nigerian market.The new range, easy-to-use, yet powerful camera, was officially launched at a one day make-up and photography workshop in Lagos. The Nigerian beauty and makeup scene is filled with budding and enterprising individuals who yearn to find the suitable device to capture special moments while transforming their clients. 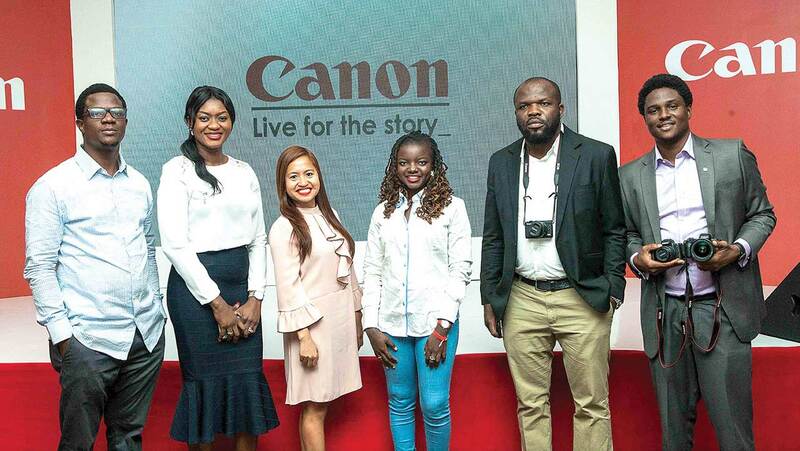 Bearing in mind that makeup and photography go hand in hand, Canon partnered with over 100 makeup artists to host a one-day makeup and photography workshop – focusing on the Make-up artistry scene in Lagos. Held at the Sheraton Lagos Hotel, the launch, which was attended by stakeholders from beauty, fashion and lifestyle, saw guests engaged in unique sessions and techniques to help improve their photography and videography skills. With the workshop, Canon developed modules that helped artists who were eager to share photos of their diverse works, learn about photography and how to deliver flawless pictures and videos using Canon cameras. The EOS M100 camera is adaptable for users of any level — from beginners to professionals who simply wants to take their images or video to the next level in the world of photography or someone. The event was an opportunity for makeup artists to have a first-hand view of the M100, giving them hands on experience with the device; the workshop displayed the device’s ease of use for various types of scenarios. Canon Central and North Africa (CCNA) is a division within Canon Middle East FZ LLC (CME), a subsidiary of Canon Europe. The formation of CCNA in 2016 is a strategic step that aims to enhance Canon’s business within the Africa region – by strengthening Canon’s in-country presence and focus.